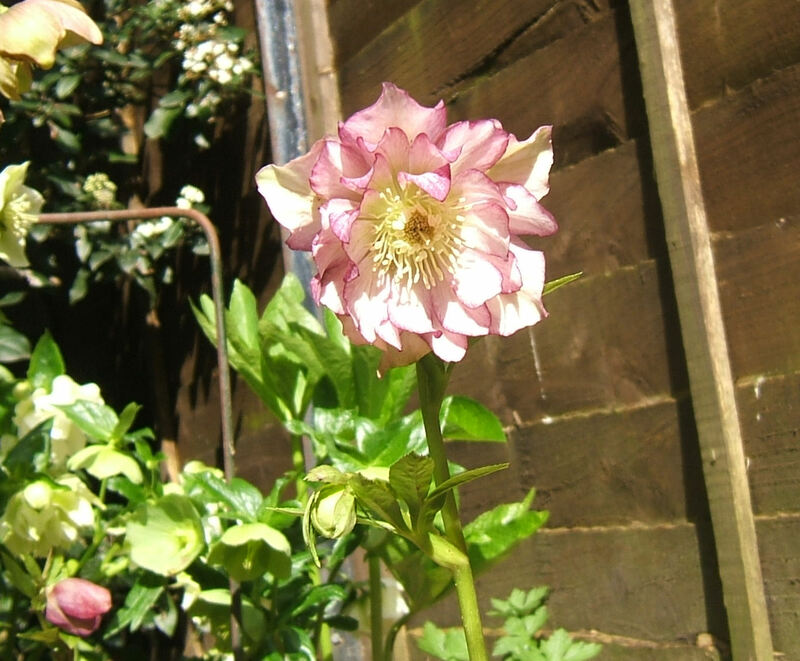 Now is the time of year for those wonderful Hellebores (Lentern roses) to start to shine. Over the last year their leaves have darkened to a deep green and become surprising leathery. They have fulfilled their purpose of providing a foil to the stars of the garden, but now is the time to cut back those leaves and reveal the beautiful flowers that have been slowly burgeoning under their shade. When those leaves have been removed, they will reveal those beautiful buds and you can watch them as, day by day, those buds turn into the most beautiful of flowers. 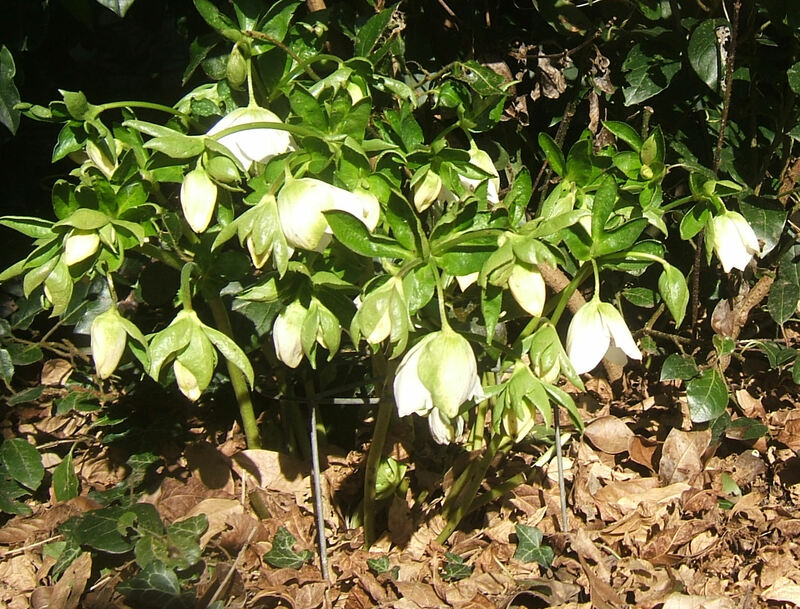 Most of my hellebores are by my back door so that I can see them easily every time I let the dogs out into the garden – they really do make you feel that Spring is just around the corner. 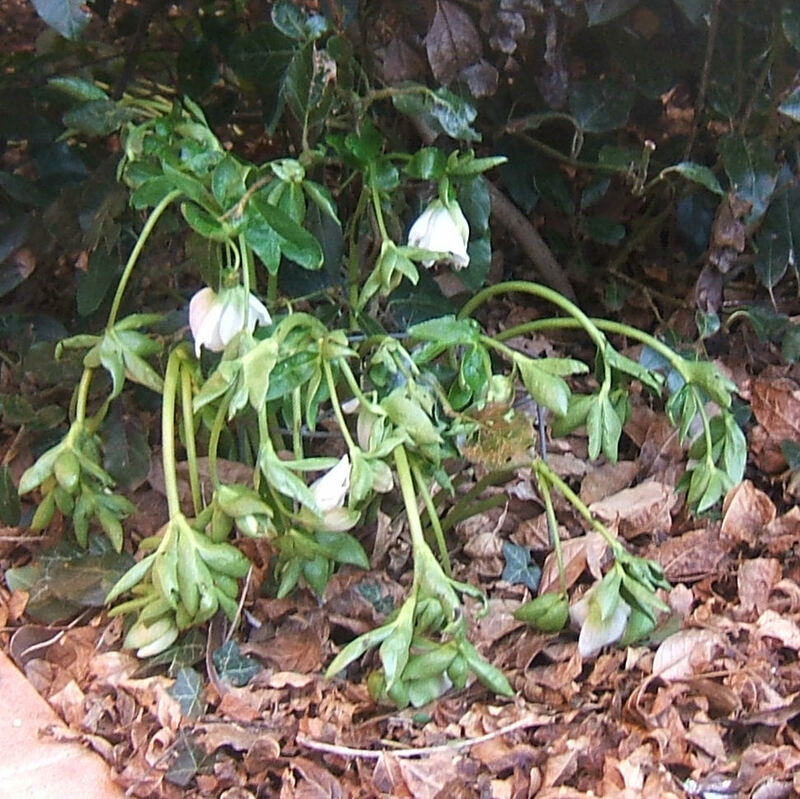 Don’t worry if a frost comes and makes those flowers droop, within a few hours they will be back to their fully glory. 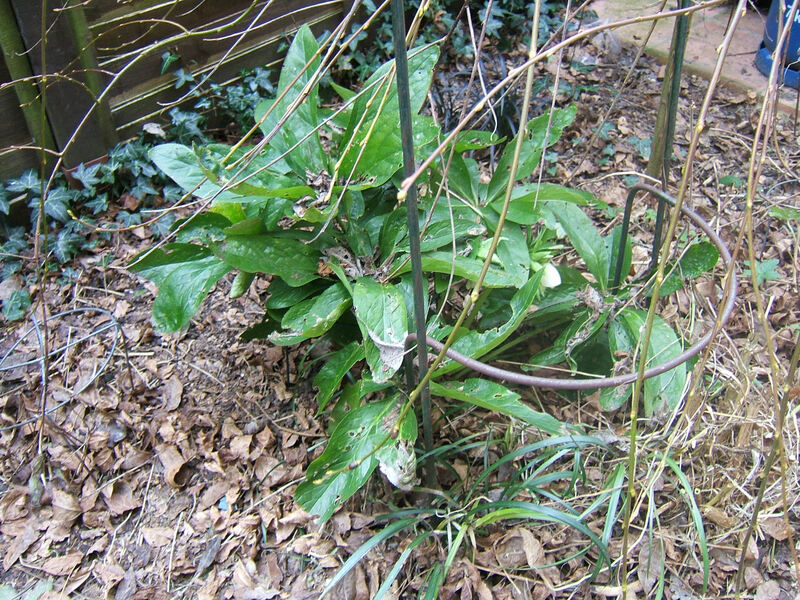 It never ceases to amaze me how Hellebores recover after being frosted overnight.